Local search engine optimization (SEO) can be a great source of organic traffic for brick-and-mortar businesses. Increasingly, it is also becoming more important in terms of key real estate on Google search ranking pages. 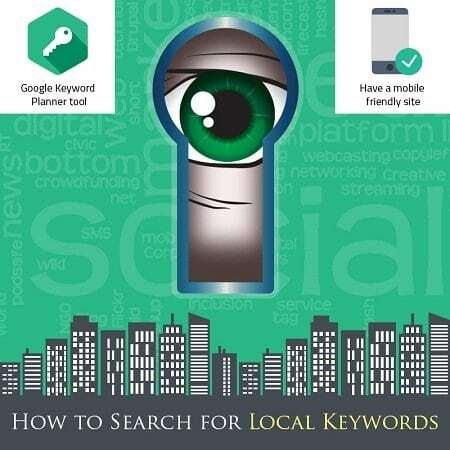 Local keyword targeting can also offer lower hanging fruit in many cases, allowing for quicker returns on your time and cash investments for what is generally very targeted traffic. Ranking well for a good base of long-tail local keywords can often bring in more traffic quicker than going for the big money, highly competitive general keywords. This is why you should never undermine these local keywords- instead, do an analysis of the potential versus what the cost might be to rank for them and then compare that with a similar analysis on more general keywords. Typically, it will be a combination of the two that is the best strategy. When doing keyword research, there are a few questions that you should always be asking yourself. Amongst these are what your competitors are doing in terms of targeting keywords, potentially specific locations, whether they have dedicated landing pages, what those pages look like, how they display their contact info on the website, etc. A great way to get a quick once over on keywords they may be targeting is to put their URL in the Google Keyword Planner tool. This is always a good place to start for your own initial keyword list. You should then analyze these and other related keywords using the planner tool to get search volumes so you get an idea of it is even worth ranking for a particular term. Remember that you don’t only have to go to the town or city in which you are located, but should also look up other geographical descriptors of the area (county, etc.) as well as nearby towns and cities which you may be able to service (and their countries and regions as well). One thing to keep in mind when you look at search volumes for local SEO terms is that the volume will not be anything extraordinary for any one term. It is really the collective which you are interested in, but the great thing is it is easier to rank for any given batch of terms since the volume and competition are likely lower. This means that even when you are targeting one or two keywords you may automatically start doing well for other related local keywords just because they are closely tied and competition is low. Once you have your keywords selected there are a few things that you should do to optimize for them. Make sure that you utilize schema data to markup your site and let search engines know where you shop is physically located. Also take advantage of local directory listings, content that supports your keywords and user experience, and have a mobile friendly site. If you can do these things effectively, you are bound to have great success in your local campaigns and a strong supplement to your higher volume campaigns.